Toyota Prius, undoubtedly, is an iconic car that broke the rules and redefined the concept of a modern vehicle. Toyota made a vehicle which was also an appliance that could be charged from the socket, which was not so well-received by speed enthusiasts. Although it does not have too many fans all around the world, the release of the latest 2016 Toyota Prius is highly anticipated by enthusiasts of green cars. The acceptance of hybrids, however, could be changed with this one, as the manufacturer claimed it redefined what means to be a Prius. 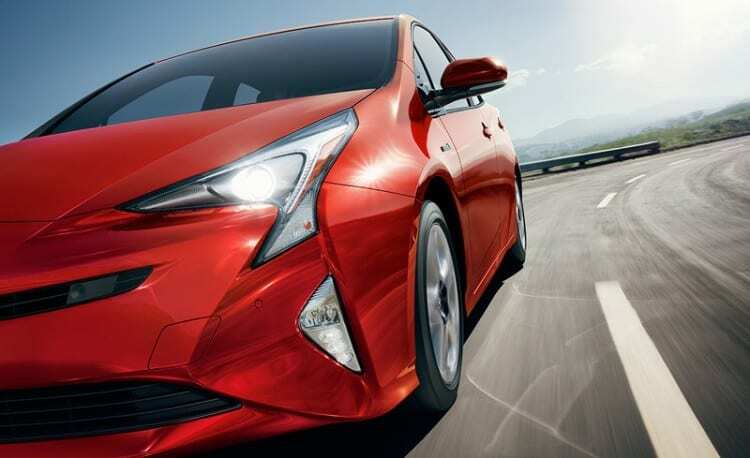 What’s new about 2016 Toyota Prius? Since the late 1990s, when the first Prius was released it did receive upgrades and 2016 is the fourth generation, which brings many new features but remains an essential petrol-electric car with iconic appearance. The first major update to this model is the new Japanese-made modular architecture TNGA that is used here. 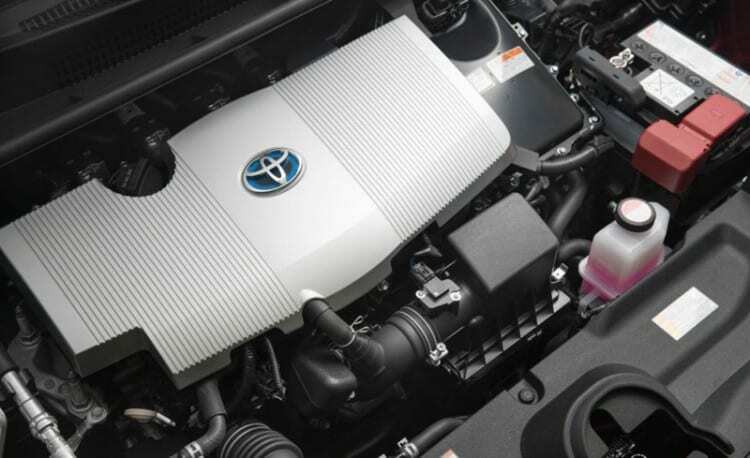 It is the latest extended version of the famous Toyota Production System, which gained popularity because of its efficiency in the previous Toyota models. According to Toyota, the benefits brought by designing 2016 Toyota Prius on the TNGA architecture included more sophisticated chassis, more interior space and upgraded mechanical packaging. Moreover, most sensitive parts are easier to manufacture, which might be good news in the case when something is broke and needs to be shipped to the client. The physical look of Prius has also been refreshed: now, it is 15mm wider and 20mm lower, with a much lower center of gravity when compared with the previous generation. The back now uses the double wishbone setup hat further improves handling and stability on the road. The deeper placement of the battery under the rear seats frees more space for the passengers as well. 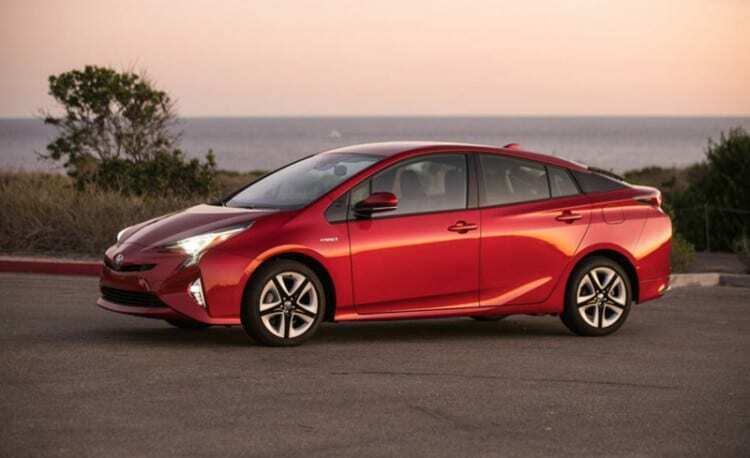 According to Toyota’s press release, the stiffness of this Prius has been increased by more than 60 percent, which helped to improve rigidity compared with the previous version. The enhanced rigidity and lower center of gravity, along with modified front and rear suspension, are supposed to give the car more sophisticated handling response. 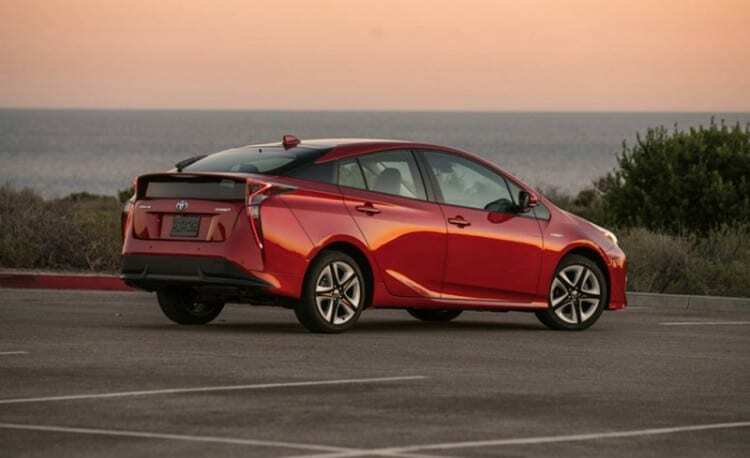 Despite this considerable innovation, the center of attention is still focused on what Prius is built for fuel economy figures and CO2 emission. Indeed, they are fantastic. The new Prius represents a new step forward in lowering the harmful emissions and saving the fuel by emitting just 70g/km of CO2, with the capability of returning 58/53 mpg in highway/city drive. The thermal efficiency of the engine is increased from 38.5% to 40%, which is a significant improvement and represents one of the most efficient units ever. These figures released by Toyota are impressive for a hybrid car and will be loved by enthusiasts, so it is fair to say that redefinition of Prius in this regard has been indeed successful. The interior of the new Prius has also been revisited. Compared with the previous version, 2016 has fewer switches and buttons, which probably can be attributed to the new TNGA architecture. Another change brought by it is the significantly more light in the cabin, thanks to reduced height of lip top by 620mm. Unmistakably, the driver will feel that more space has been provided in the new cabin; this feeling will also be contributed by the thinner body pillars and larger glass surfaces. The redefining does not include the new petrol engine, however. This model uses the same 1.8-liter engine used by the third generation Prius, which produces 97bhp but as we said this time with increased thermal efficiency. The Electric motor is capable of making 71 bhp bringing total system power to 121 hp. The manufacturer claims that it will be powered by nickel-metal hydride battery pack, which carries some improvements. Here, Toyota must have heard the voice of the customer, because many Prius drivers did not like the charging speed of the battery. Good news for them: the new battery pack, although smaller, will charge 28% faster than third generation’s battery. Nickel-metal hydride battery comes on base model also while higher trims receive smaller, lighter, more efficient Li-Ion battery that is also pricier but gives few extra mpg’s. 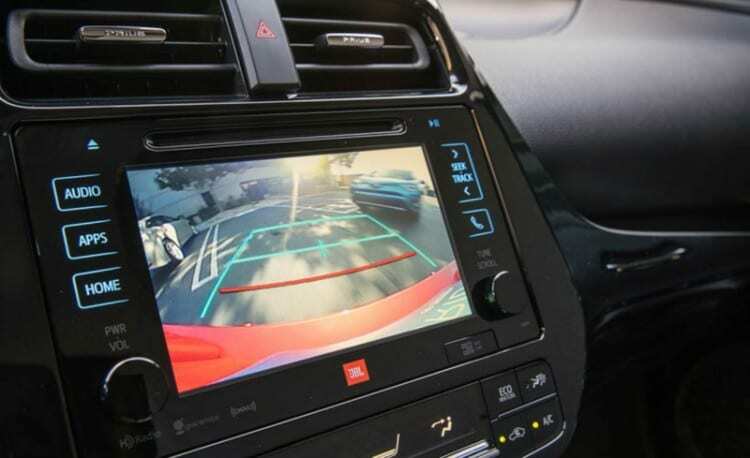 Toyota decided to keep the position and the design of the instrument panel but improved the graphics on displays and increased the size of the central infotainment screen. The car uses a lot of materials made from cheap plastic. However, the quality is quite acceptable. The new generation also retained the switchers for the heaters of the front seats and foot-operated parking brake. There are three drive modes available in this version of Prius, Eco, Power and Normal. The experience with previous models tells that drivers will be most likely to use Normal mode the most because it was viewed as adequate in most driving situations giving decent power delivery and great fuel economy. However, it is anticipated that the company will enhance the Power mode because the predicted throttle response from the vehicle in this mode was not satisfying in the entry version Prius. The way new Prius drives will define the way many future Toyota’s models will drive, given that the company’s cars will use the same architecture and that more and more hybrids will be offered across the lineup. If you are looking for a green car with reasonable fuel economy and a regular need to be charged, the 2016 Prius is a good option. It carries some improvements compared to the previous version and can be considered as one of the revolutionary cars in its segment. The current price ranges from $24,200 to $30,000, which might not work out that well for Prius because the customers may want to purchase cheaper petrol and diesel counterparts for a smaller amount of money. Probably, this is a reason why the price has not changed since the 2012 Prius model. Also, Prius has to compete with other hybrids, plug-in hybrid and even electric cars, including 2017 Chevrolet Volts, which goes over 50 miles on lithium-ion battery. The two cars’ prices increase to $33,000 when similarly equipped, so the choice is yours. The 2016 Toyota Prius is already recognized as a good option for company car drivers that spend more time driving on urban roads than on highways. The 2016 Toyota Prius hybrid is probably the best for moderate speed in urban areas, as evident from many stories of drivers stuck behind a slow-moving Prius on the highway. It is also worth remembering that Prius’ fuel efficiency helps to reduce fuel costs and also forces other manufacturers to dedicate more time to development of this technology. Find out more info about Toyota Prius. I like the new Hypersonic Red hue, it looks really awesome in that color.